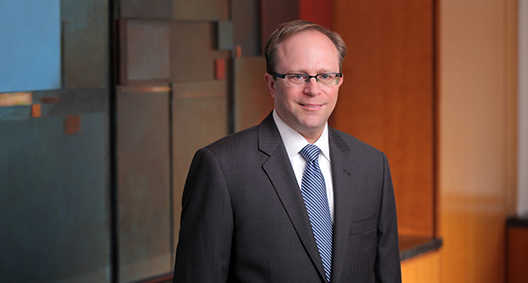 Eric Fish is a litigator with extensive experience representing clients in complex civil litigation focused on products liability, toxic tort and business litigation. Based on his intimate knowledge of New Jersey state and federal practices, Eric handles many civil matters pending in New Jersey. Appreciating the potential implications of litigation for his clients and their businesses, Eric listens to his clients and looks at both the immediate consequences and the long-reaching effects of litigation when developing case strategies. Eric then works with his clients to determine the best approach to achieving their litigation goals. Leads several legal teams investigating and litigating actions involving feeder funds and banks to recover funds for victims of the Madoff fraud in connection with BakerHostetler's role as court-appointed counsel to Irving H. Picard, SIPA Trustee for the liquidation of Bernard L. Madoff Investment Securities LLC (BLMIS). Most recently, Eric led a team that negotiated a $9 million settlement with a large hedge fund prior to initiating litigation. In 2013, Eric led the team that negotiated the successful $97.8 million settlement on behalf of the SIPA Trustee with Maxam Absolute Return Fund et al. Eric also assisted in the 2011 settlement in Picard v. Tremont Group Holdings, et al. that brought more than $1 billion back to the BLMIS Customer Fund, which to date totals more than $12 billion. Represents corporate clients in a variety of complex commercial litigation matters in state and federal courts in New Jersey and New York. Represents healthcare clients in various privacy matters. Successfully defended multiple hospitals and healthcare providers against claims alleging Health Insurance Portability and Accountability Act violations and breach of privacy in New Jersey, New York, Connecticut, Rhode Island and Massachusetts. Experience representing corporate class action defendants in multiple contexts, including consumer class actions, TCPA, product liability, and securities fraud. Served as counsel in New York and New Jersey in toxic tort and product liability litigations arising from alleged pesticide exposure. Helped obtain dismissal or very favorable settlement terms in various cases. Defends numerous property owners and commercial tenants in New York and New Jersey federal courts in cases alleging violations of Title III of the Americans With Disabilities Act, 42 U.S.C. § 12181, et seq. Defending a large audit and recovery company in litigation in the District of New Jersey involving allegations of breach of contract, fraud and consumer fraud. Representing multiple corporate plaintiffs pursuing breach of contract actions in the District of New Jersey against individual and corporate defendants. Defended a pharmacy benefits manager in District of New Jersey against pharmacy alleging unfair business practices. Obtained voluntary dismissal of all claims while motion to dismiss was pending. Defended a food services company in the Supreme Court of the State of New York in a suit against a former shareholder who claimed a breach of the corporate bylaws and violation of New York business laws. Obtained a full dismissal of the case prior to trial without the client having to pay anything to the plaintiff. Represented a startup healthcare company in New Jersey Superior Court in an action seeking an injunction based on a noncompete and confidentiality agreement. Resolved the case successfully before an order to show cause was heard, and the client was able to continue building the startup. Defended a healthcare client in New Jersey Superior Court in a business dispute related to the distribution of drug products. Obtained dismissal without the client having to pay. Successfully defended a media conglomerate in the District of New Jersey on a wide range of issues related to a commercial dispute. Defended a business dispute action in the District of New Jersey involving a loan for the development of property in Mexico. Represented a Chinese manufacturer in obtaining payment prior to filing suit for a breach of agreement for the sale of goods. Defended a New Jersey hospital and one of its employees in a case alleging unauthorized disclosure of patient information. After several years of contentious litigation, the case was dismissed on a pretrial motion just prior to jury selection. Defended a healthcare provider against a claim of disclosure of private information in Massachusetts. Also successfully obtained insurance coverage for the client after an initial denial. Defended an individual in a multibillion-dollar securities fraud class action against a pharmaceutical company and several of its employees in the Southern District of New York. Representation of defendants in Telephone Consumer Protection Act (TCPA) cases, including healthcare company in the Western District of New York and large retailer in the Southern District of New York. Defended a Texas energy company in a consumer class action in the District of New Jersey alleging fraud. Led the team defending a dental product manufacturer in a consumer class action in the Northern District of Illinois. Obtained a full dismissal on a motion to dismiss prior to discovery. Worked on national coordinating counsel teams and as New Jersey counsel in drug and medical device litigations for large pharmaceutical companies. Obtained full dismissal on statute of limitations grounds of multiple cases alleging addiction to an unscheduled drug. Defended toxic tort actions against manufacturers and land owners involving exposure to toxic chemicals, including chromium and asbestos. Submitted a petition for certification in the reported case of Olivo v. ExxonMobil Corp., 185 N.J. 39 (2005). Represented a pool heater manufacturer in multiple product liability actions, obtaining full dismissals without the client contributing toward settlement. Defended a large chain of home improvement stores in numerous general liability and product liability cases in New Jersey state and federal courts. Counsels foreign clients on compliance with United States product liability laws.